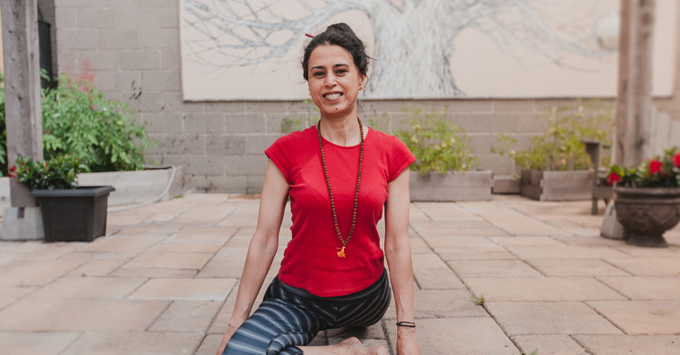 When guiding a class, Gitanjali integrates different aspects of yoga practice to create a balanced and harmonized practice for the spirit, mind and body. Experience Indian traditions and stories, a keen sense of alignment and a big smile in her classes. Gitanjali looks forward to sharing the joy, lightness and strength that can be found on and off the mat through yoga. A scientist by training and at heart, she likes to experiment to enable everyone to find the inner strength to empower each asana. Gitanjali’s upbringing in India, surrounded by the scriptures, the daily chants and rituals, formed the basis of her spiritual pursuits. It is in Canada that she heard the call of her body to move and breathe consciously. She has been actively pursuing the asana practice for over the last decade. Her first 200-hour yoga teacher training in a Vinyasa based style opened the doors of her curiosity and since then she has added more than 800 hours of training in different styles including Ashtanga, Sivananda, Hatha, Restorative and Yin. 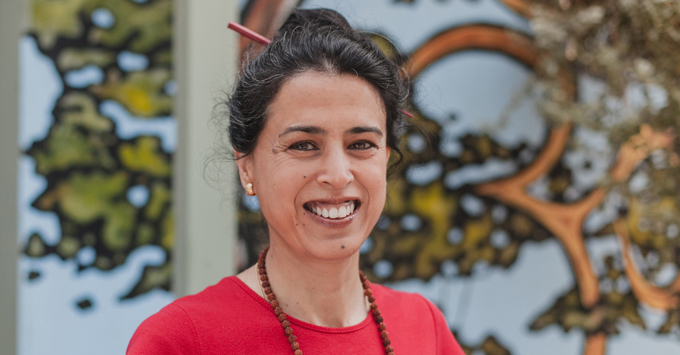 She has gone beyond Canadian national borders to teach in two additional continents and has imparted more than just the physical and philosophical aspects of yoga by sharing her knowledge of Sanskrit at teacher trainings. Even so she continues to train with renowned teachers and lineages all to strive to live yoga every day. She invites you to join her on your mat to enjoy the exploration of the power in the pause and the space between the yin and the yang.